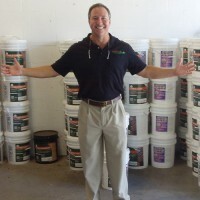 Founded in Fort Lauderdale, Florida in November of 1950, Surface Logix manufactures and distributes products for the construction industry, including cleaners, clear coatings, and sealers to assist in concrete and hardscape maintenance, as well as enhancement projects. Today, the company occupies a facility in Pompano Beach, Florida and produces adhesive and sealant products. The owner, John Daly, works with customers to ensure that the products provided always satisfy the customers’ product specifications and requirements. Although Surface Logix was doing some exporting, they wanted to penetrate new export markets to distribute their products globally. As such, the Florida SBDC Fort Lauderdale worked with the owner, John Daly, to develop a customized Export Marketing Plan, through a grant-funded program with Enterprise Florida. Through a detailed Health Checklist, Anil Chang, FSBDC International Trade Specialist, carefully analyzed the processes within the company and, in collaboration with Daly, developed the Export Marketing Plan that included aggressive international growth strategies. As part of the Export Marketing Plan recommendations, Daly participated an export trade mission to the Dominican Republic, using the Gold Key Service provided by the U.S. Commercial Service and scholarship funding provided by Enterprise Florida. Daly also participated in the FSBDC Fort Lauderdale’s seven-week International Trade Certificate Program, one of a select number of NASBITE-accredited trade assistance programs in the world, and the only one in Florida. As a result of the assistance received, Surface Logix has grown substantially and now has 10 full-time employees. Daly is optimistic that the company will be able to further grow its business and ultimately double sales for their multi-million dollar business. "Anil and Parbatee were a great help to me and our business with our new export plan. I participated in the seven-week course to set up our program properly,” said Daly. “I would highly recommend this program to businesses interested in export exposure."